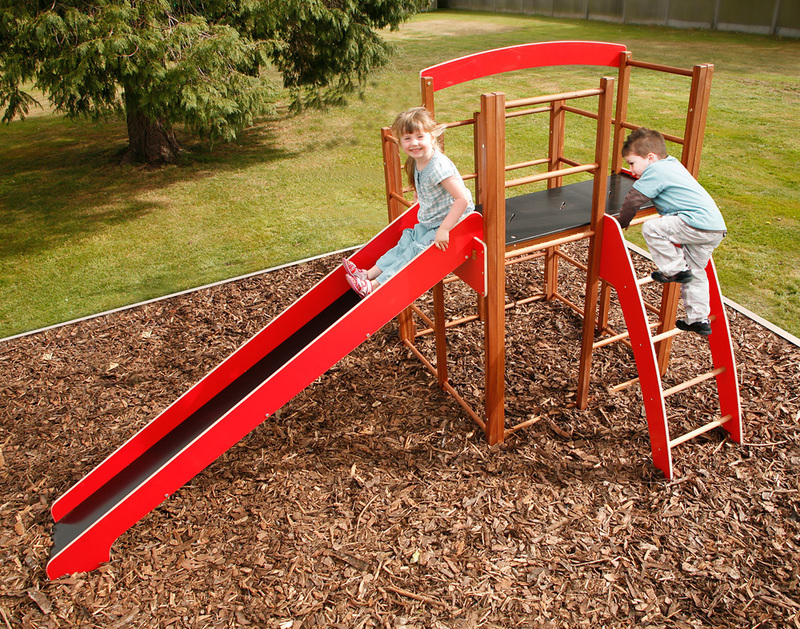 A great piece of outdoor play equipment ideal for any school or nursery playground or playing field. 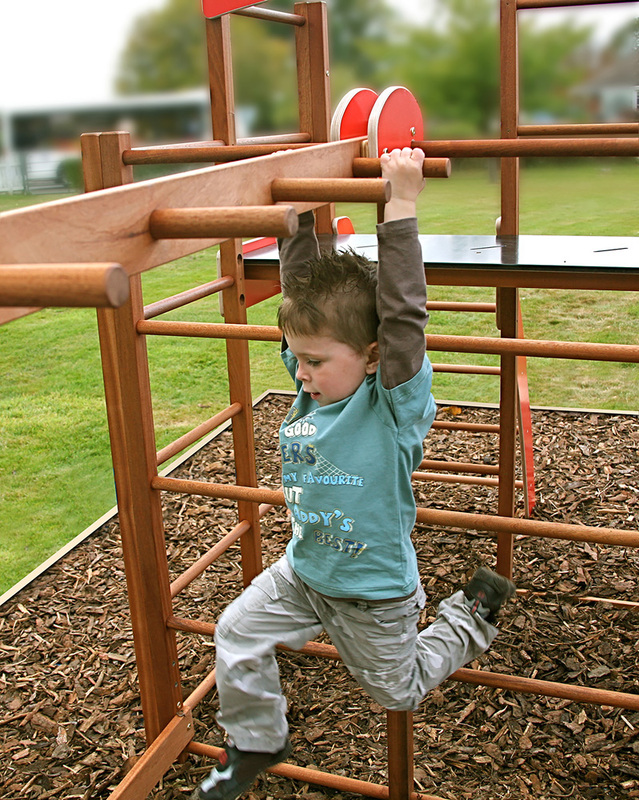 The high quality outdoor climbing frame features steps, slide, and platform. Choose to add on a monkey run to complete the outdoor play frame. 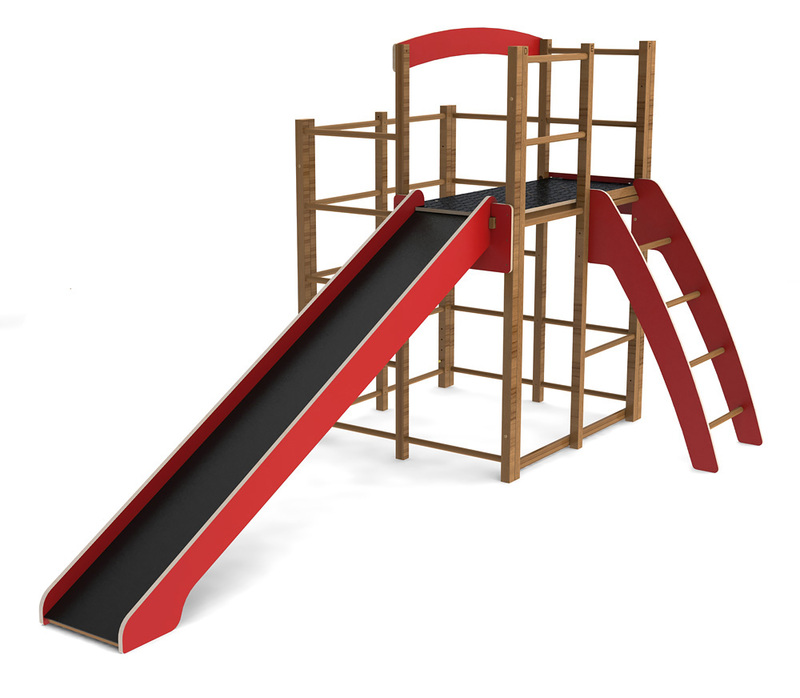 The monkey run features a duplicate side of the basic frame, two walking/balance beams and the monkey run hanging rail. Manufactured sustainably in the UK using high quality exterior grade birch plywood and sapele hardwood which is protected with several coats of teak oil. 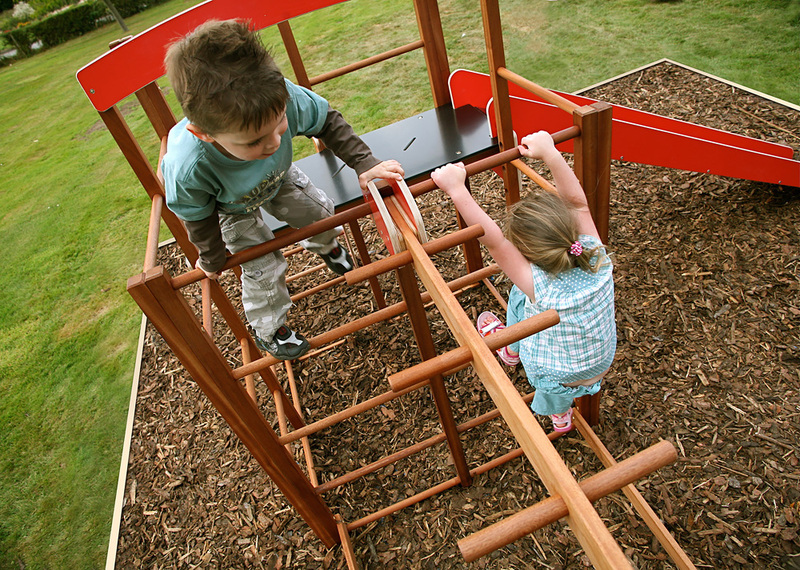 Teak oil can be re-applied annually to help maintain the climbing frame's natural wood appearance. 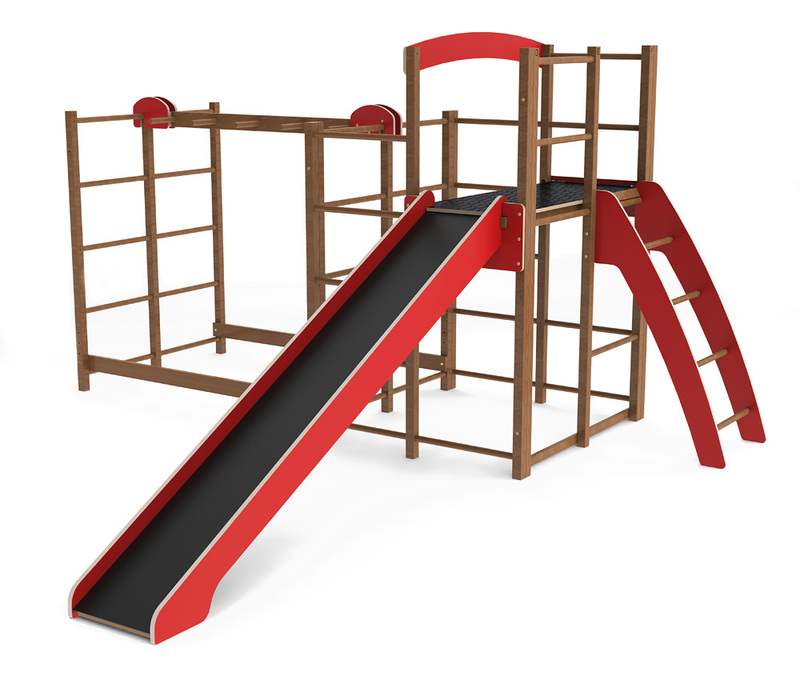 The climbing frame is provided with full assembly instructions and for convenience the frame can be easily dismantled and stored if required. It comes with a five year manufacturer’s guarantee against structural failure caused by rot or insect attack.